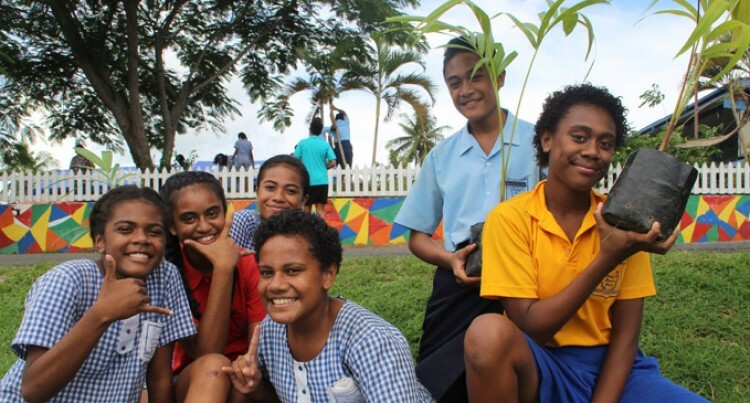 One-hundred and twenty-two agents from the Tourism Fiji Matai Convention engaged with four Nadi schools in a Conservation Programme that included afforestration and recycling projects. With the support of Ministry of Forestry, Tuckers and Bank South Pacific, the groups visited Nadi District School, Ratu Navula College, Mt Saint Mary’s and Namaka Public School. The various activities carried out by the group included the beautification of school compounds, along with the planting of more trees and teaching children the importance of recycling plastic bottles. The students applauded the visit by the group in enriching their learning environment. This was part of the Fiji Matai Convention 2018 held at Sofitel Fiji Resort and Spa on Denarau Island from March 10-11. The programme was created by Tourism Fiji to provide the international travel industry with the knowledge to sell Fiji. Tourism Fiji Chief Executive Matthew Stoeckel said: “Tourism Fiji is focused on ensuring travel agents that sell Fiji are well informed about the destination. Mr Stoeckel added the Convention brought together agents from several countries, most of whom have completed Tourism Fiji’s Matai Specialist Programme. Toursim Fiji defines the word ‘Matai’ as: to be knowledgeable or an expert in something. Thus, a ‘Matai’ agent is someone who is knowledgeable about Fiji’s tourism products and can provide an enhanced Fijian experience to clients.